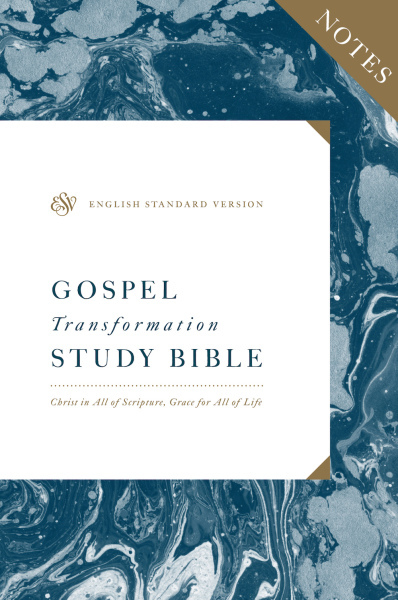 The Gospel Transformation Study Bible Notes are designed to help you encounter the gospel in Scripture. The apostle Paul summed up his whole ministry as existing “to testify to the gospel of the grace of God” (Acts 20:24). That single-minded goal is the heartbeat of the Gospel Transformation Study Bible Notes. Produced out of the conviction that the Bible is a unified message of God’s grace culminating in Jesus, it is a significant new tool to help readers see Christ in all the Bible, and grace for all of life. The Gospel Transformation Study Bible Notes feature all-new book introductions and gospel-illuminating notes written by a team of over 50 outstanding pastors and scholars. This specially prepared material outlines passage-by-passage God’s redemptive purposes of grace that echo all through Scripture and culminate in Christ. The notes not only explain but also apply the text in a grace-centered way. Focusing on heart transformation rather than mere behavior modification, their points of application emphasize the Hows and Whys of practical application to daily living—in short, how the gospel transforms us from the inside out.